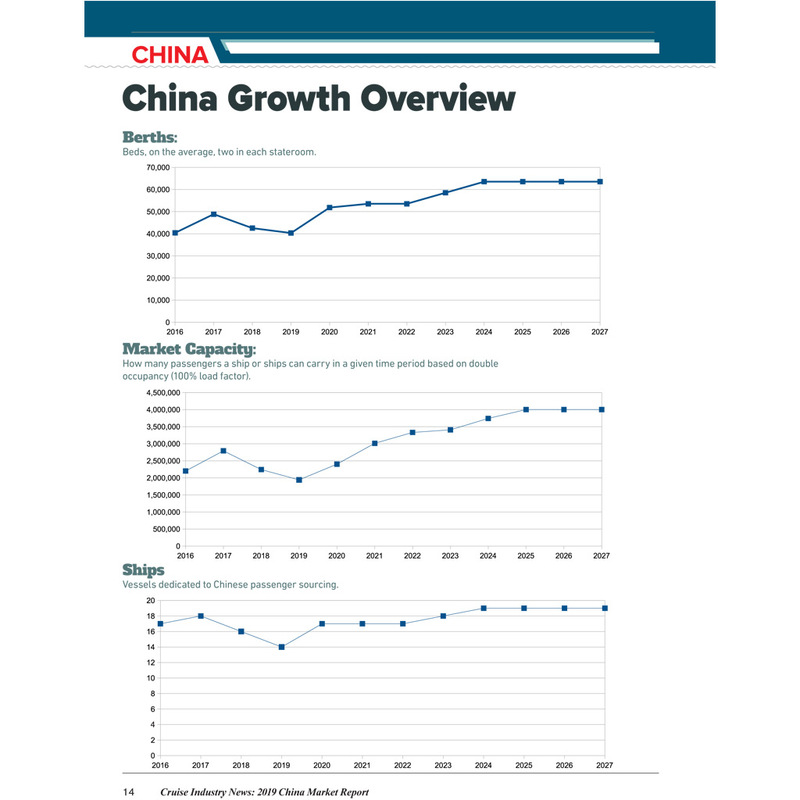 110+ page PDF report detailing the China and Asia-Pacific cruise market, with China growth projections through 2027. 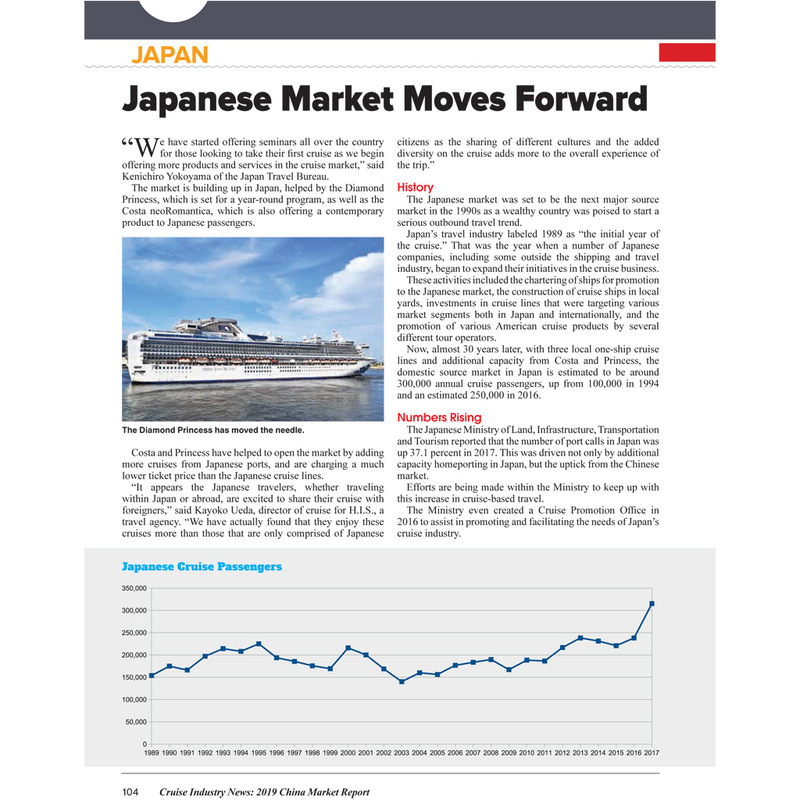 Key interviews with leading brands in the Chinese market, port news/updates, travel agent pricing (charter) discussion and much more. 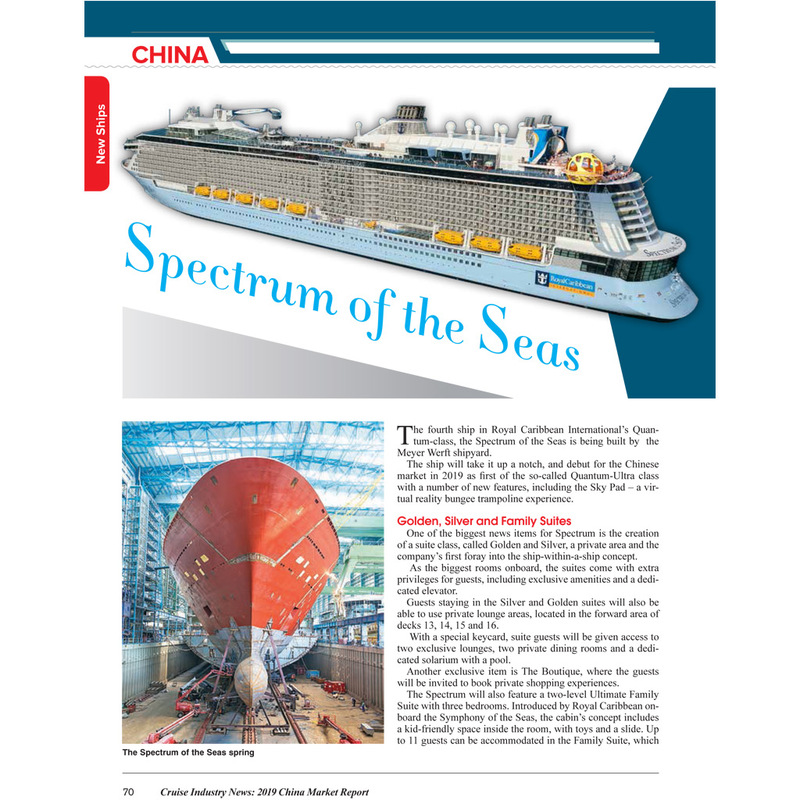 Comprehensive report detailing the China and Asia-Pacific cruise industry. 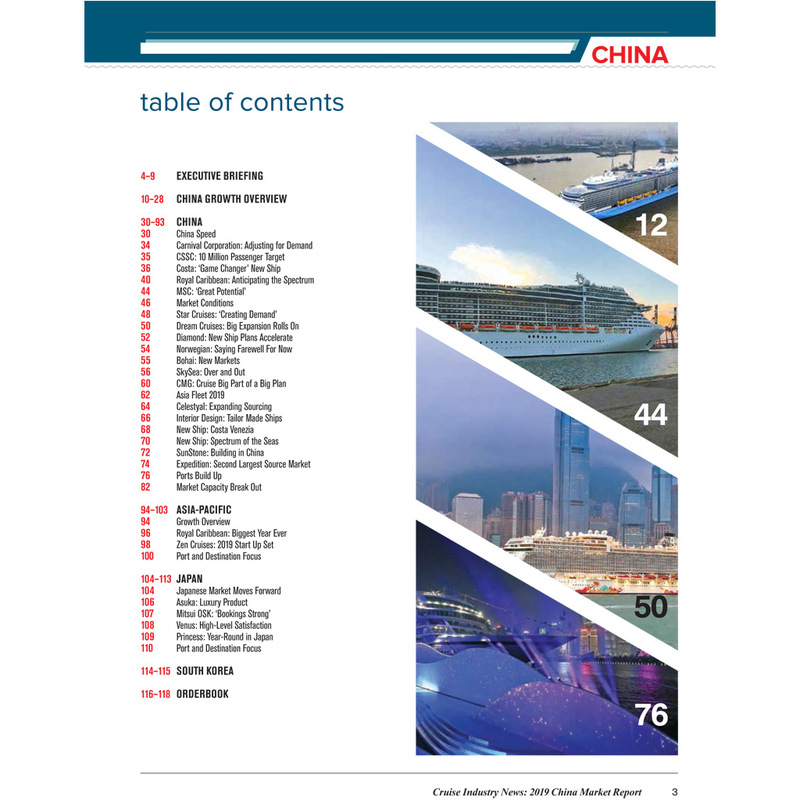 If you are looking for a complete overview of the current and future state of the China and Asia-Pacific cruise business, look no further. Over 110 pages of independently-researched data and exclusive analysis, research, interviews, articles and more. 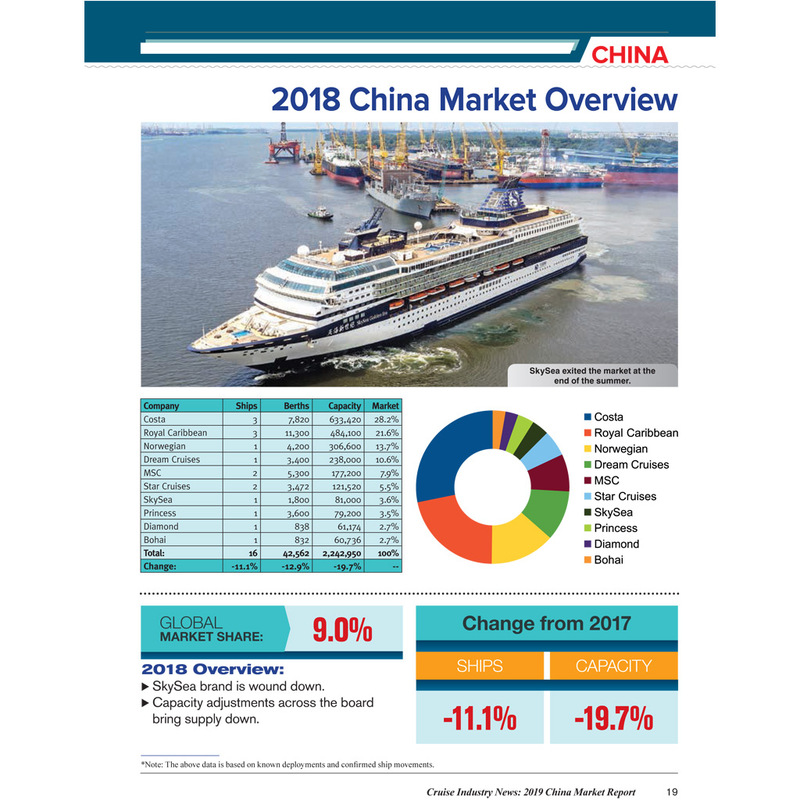 Market data and projections for the next decade, including a breakout of the Chinese cruise market annually through 2027, with forecasted capacity growth projections. 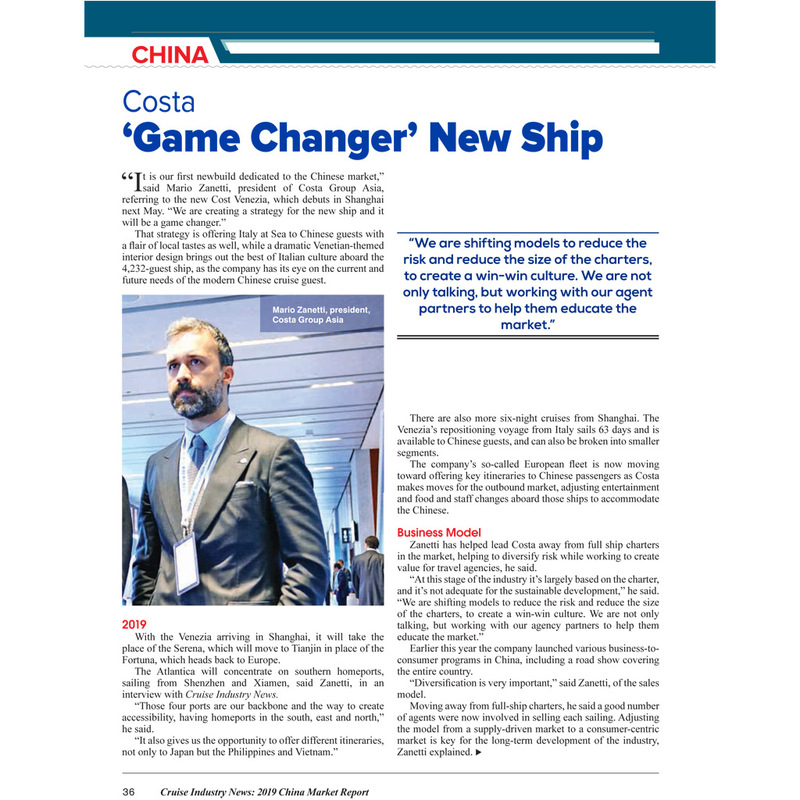 Interviews with top executives at all cruise brands operating in the Asia-Pacific and Chinese market, including new Chinese cruise lines. 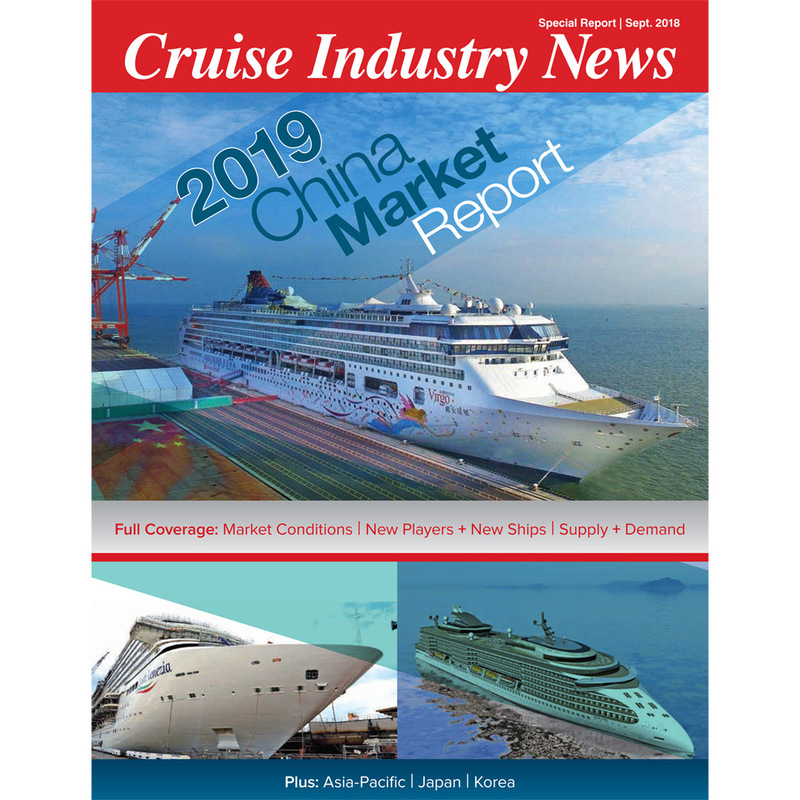 Cruise lines covered: Carnival Corporation, Princess, Costa, Royal Caribbean Cruises China, Royal Caribbean Cruises Asia-Pacific, SkySea, MSC Cruises, Norwegian, Bohai, Diamond, Genting, Star, Dream, Asuka, NYK, Zen, Mitsui and more. 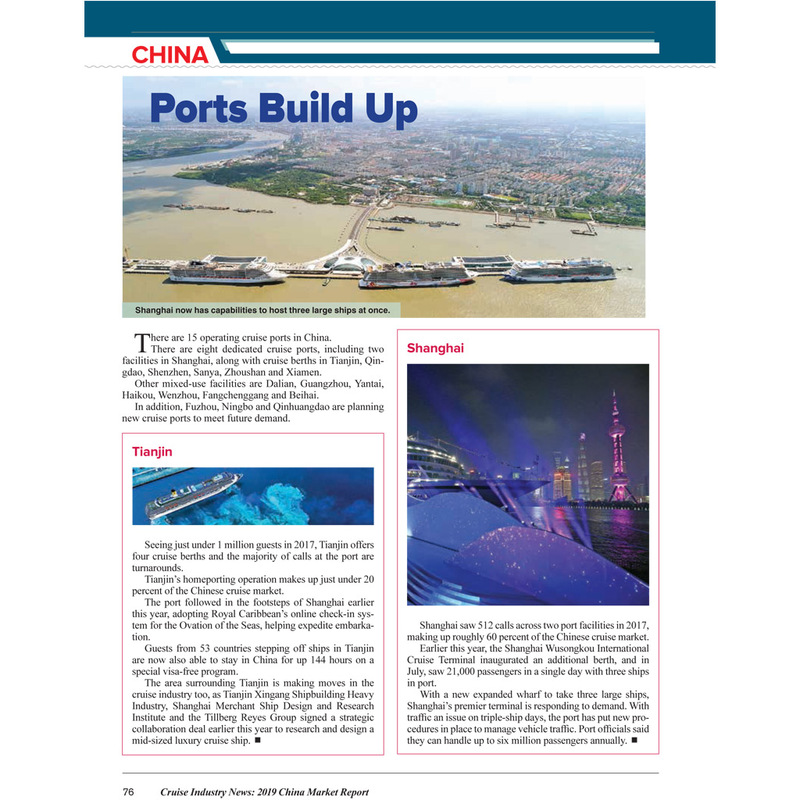 Key developments for 2019, plus what to expect in 2019 in China.Port news and infrastructure planning reports, including a map of key Chinese ports. 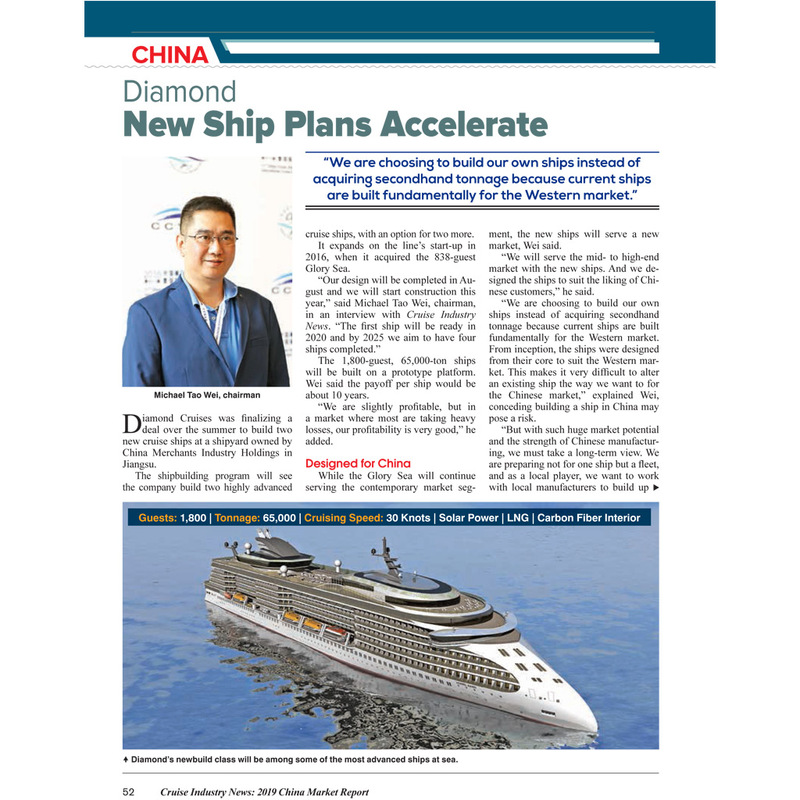 Interviews and updates on 12+ Chinese ports, Hong Kong, plus a number of ports in Japan and South Korea reveal their latest plans. 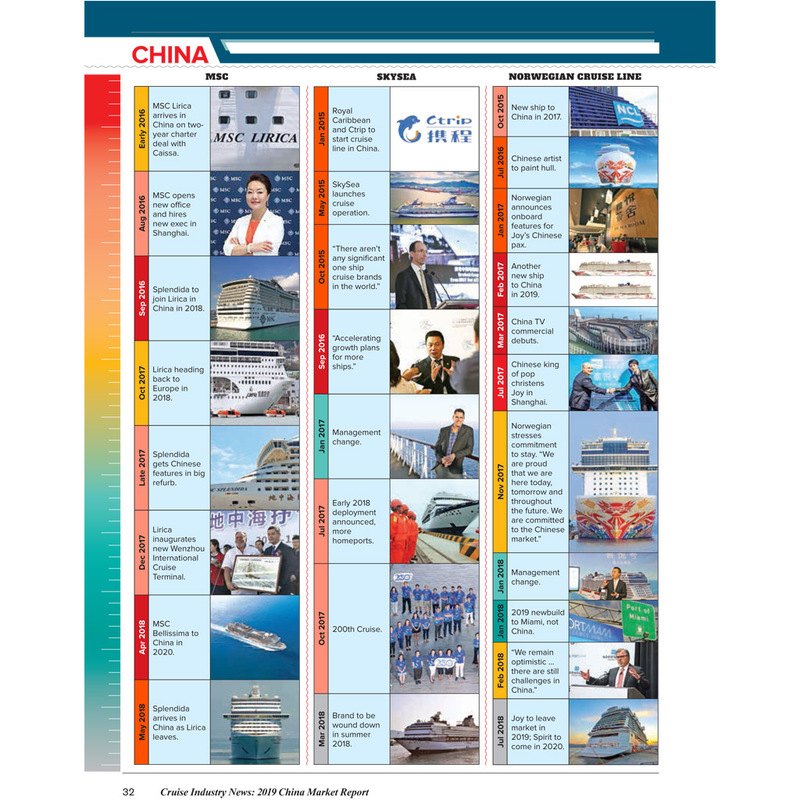 Market capacity breakdown for Asia/Pacific and Chinese markets by cruise line. A look at the current and future Asia/Pacific cruise fleet. In-depth coverage of other key areas in the Asia region, in addition to South Korea.